A favorite of Union Pro Rider Scott Stevens, the Contact has minimal binding-to-board contact points for less interference with your board's true and natural flex pattern. 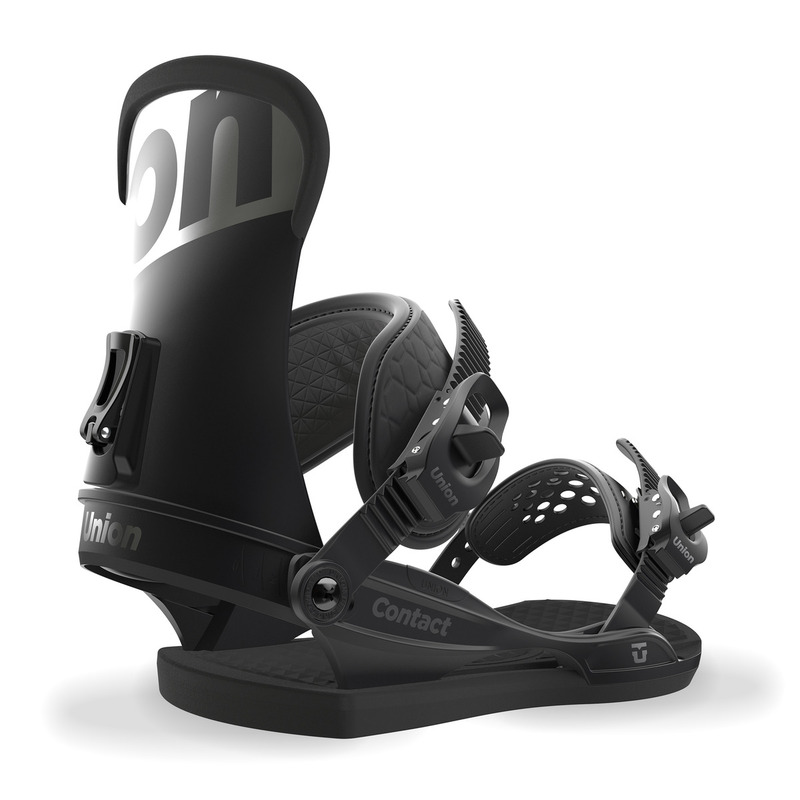 Sturdy asymmetrical highbacks combined with a mid-soft flexing Duraflex MD base, make the Contact an awesome choice. For more of a surfy feel, the Contact MD Base comes Duraflex injected and is the softest out of the MD Base family. Ideal for lighter riders and/or people looking for that playful "loose trucks" feeling. Multi-Density Thermoformed Bushings sustain their function season after season - unlike competitors who use urethane, rubber or other materials that change color and become brittle over time. The rigidity and strength of Extruded Aluminum acts like a roll cage on a race car - stiffening the entire chassis. The male/female connection with the base provides seamless response. A team favorite, the ASYM S2 Highback is perfect for all around freestyle and urban snowboarding. This indestructible design is slightly tweaked towards the outside for seamless boot interface. Pre-curved 3D Multi-Layer Strap Core evenly distributes pressure, keeping you locked in and on point. Overpadded and female specific. Fast in and fast out - this new mechanism combined with Union aluminum is superior to any binding ratchet on the market - with the execption of Union magnesium.